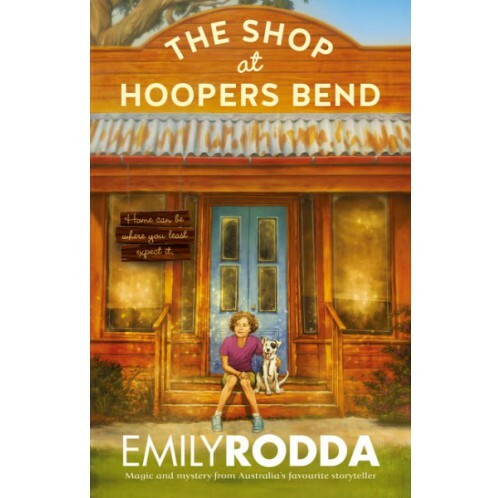 12 year old reviewer Rata, has read the latest book by a longtime favourite, Emily Rodda. Quil Medway (her real name is Jonquil but she prefers Quil) is an eleven year old girl who was supposed to be on her way to camp, but she decides to get off the train early at a stop called Hoppers Bend. At Hoopers Bend, Quil meets all sorts of people but in particular, Bailey an bitter older woman who owns a shop that had been left to her, by her uncle. Quil also meets a little black and white dog named, pirate. There’s something magical about the shop at Hoopers bend though, something Quil and Bailey are drawn to. The shop at Hoopers Bend is a very cute, interesting and magical book. I would recommend it for anyone who loves books like that and is over the age of nine. A lot of events, drama happens in this book, some good, some bad, some sad and some happy. The Shop at Hooper's Bend is available now. A new review from our young reader on the ground, 12 year old Rata. From the author of Ivy & Bean and the co-author of The Guernsey Literary and Potato Peel Pie Society. Nothing happens in this book, there are no love triangles, no one runs away or gets murdered, there are no superheroes or super villains. This book is about two average 15 year old girls living an average life. Charlotte and Frankie (best friends) think they have a boring life but when Charlotte decides to write it all down, Frankie and Charlotte realise their life may be more interesting than they think. This book has a good mix of drama, comedy and romance. It’s perfect for any teenager who loves these genres. This book is great for fans of Louise Rennison. Nothing is in stock now.